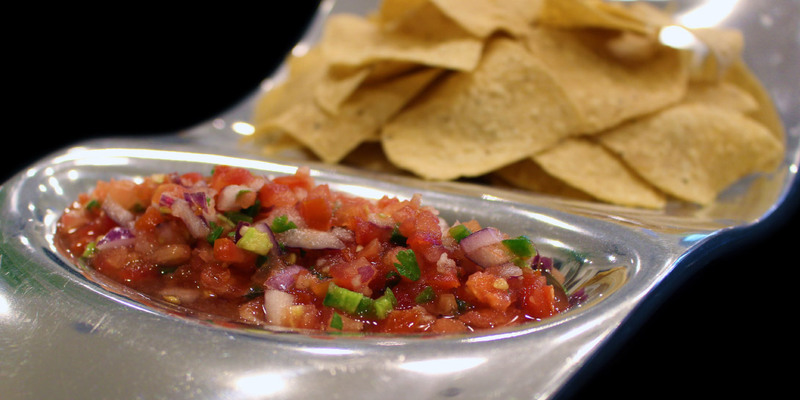 Are you a salsa fanatic? I know I am. I can destroy a full family-sized bag of tortilla chips in the presence of awesome salsa, which is exactly what this recipe is. Good luck with moderation on this one! This recipe is written with recommended levels of jalapeño for different heat levels. If you want the salsa to be even spicier than what is listed as hot (50 g jalapeño) in the recipe, I recommend adding minced serrano pepper. I have a very high heat tolerance, so for me, the spicier, the better; additional serrano pepper on top of the 50 g of jalapeño is a must. If you’re making this salsa for a party however, be sure consider the average heat tolerance of your audience. The last thing you want to do is scare anyone who isn’t vegan away from delicious vegan food! * = always spice check your peppers prior to using. To do so, simply cut a cross section from the middle of the pepper, with seeds, pith, and flesh. Chew on it to gauge the heat level of what you’re working with. You can then make adjustments to quantity, if necessary. This is important because the more you work with hot peppers, the more you’ll see that jalapeños can be as mild as a bell pepper or hotter than most serrano peppers. Remember, you can always add more hot pepper, but it’s difficult to go the other way. P.S. Tacupeto corn tortilla chips are the best store-bought chips I’ve come across. The only place that I have found that carries these chips is Whole Foods, but that’s just for me in Arizona. Be sure to look around in your area too.